~~What I want for my dogs is a family of their own to love! 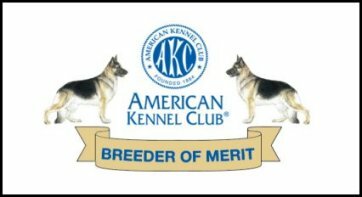 ~Welcome to my web page, we are a small hobby kennel and strive to Breed for GOOD TEMPERAMENT, HEALTH, LONGEVITY and BEAUTIFUL German Shepherds. 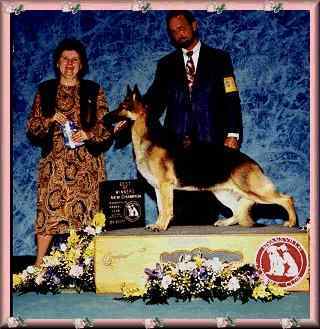 I have been breeding German Shepherds for 30 years now. We are located in northeast Ohio. ~Our puppies are raised in the home and get a lot of attention. All puppies are vet checked and come with a written contract with a guarantee. ****We stand behind our puppies. I do a lot of Conformation showing, I owner-handle MOST of the time! I have had the THRILL of finishing my home bred CHAMPION from the BRED BY EXHIBITOR CLASS! Quite a few of our puppies we have sold have received Obedience titles too! 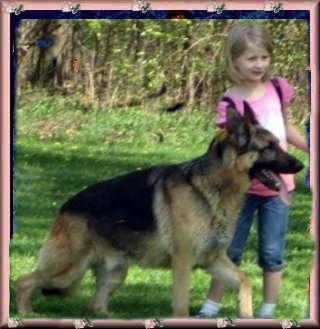 *German Shepherd Dog Club of W. Pa.
can get to it before my ghostly dog does! All Graphics are copyrighted by CHARISMA'S Web Design. Do NOT take any of these graphics or link to them on my server All pages are owned by Von Charisma's German Shepherds.